Due to same changes in our families travel plans in the month of December I am moving up the date for Christmas Deadlines. The new deadline is Novmeber 23rd, a week and half away! Thank you for your continued support of Rocket Ships & Elephants! It is hard to believe that Christmas is just 2 short months away! 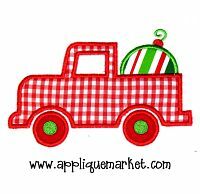 Please remember I must have all Christmas orders in by December 1. These designs are just examples. I do have some of the fabrics, but not all, so please check with me before ordering! 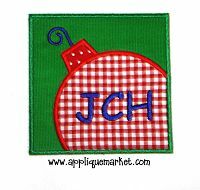 All appliques start at $20. Thanks so much for your support of Rocket Ships & Elephants! I think this one would be cute as a boy or girl snowman! Lots of possibilities! Also super cute as a girl snowman! I will need at least 10 business days to finish your customized shirt, I do not work on the weekends. Please let me know if you will need it sooner, I will see if this is possible. The holidays will be here before you know it! Thanksgiving orders - November 1 (I will not be taking any orders the week of Thanksgiving (November 24). Thank you for your continued support and blessings! Shirt size - I use American Apparel, Bella Baby, and Cherokee brand shirts. Check with me about the sizing! 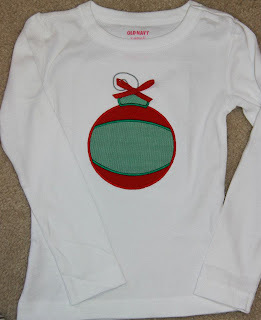 Appliqué pattern for your shirt - simple initial, initial with either one or two circles, your child's name. I can also do, but not limited to, elephants, rocket ships, sail boat, whale. If you have your own custom design in mind or would like another design, let me know what you are thinking! 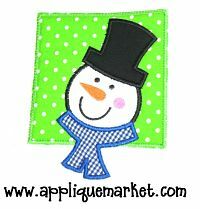 Fabric choice - Check out the picasa photostream to see all the available fabrics. If you have a desired theme (cars, rockets, flowers, sports) or color, please let me know and I will pick the perfect combination out for you! Care of shirt - I recommend not putting your machine appliqued/monogrammed shirt in the dryer and if you are going to iron it, turn it inside out.